Inspiring growth and development through opportunity. on personal integrity hangs humanity’s fate. 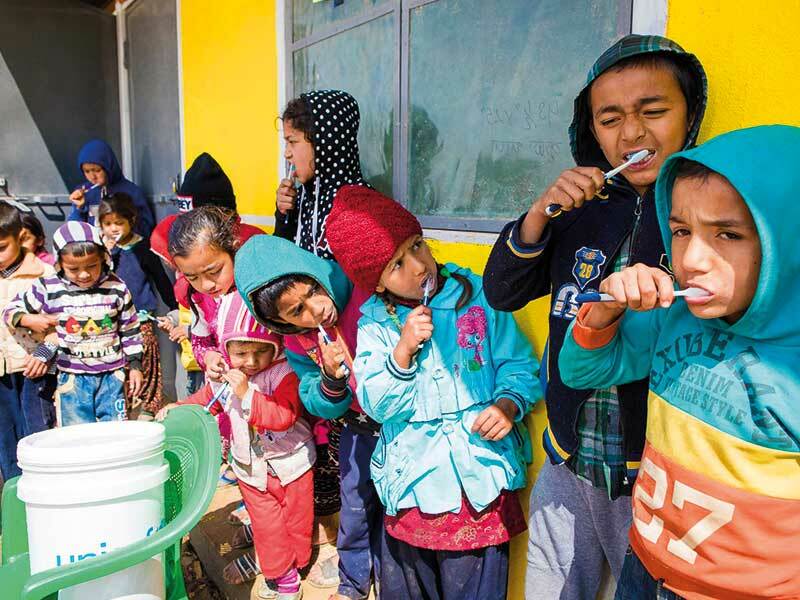 Project For A Village is a not for profit organization dedicated to providing proper health care and education to people in rural villages around the world. 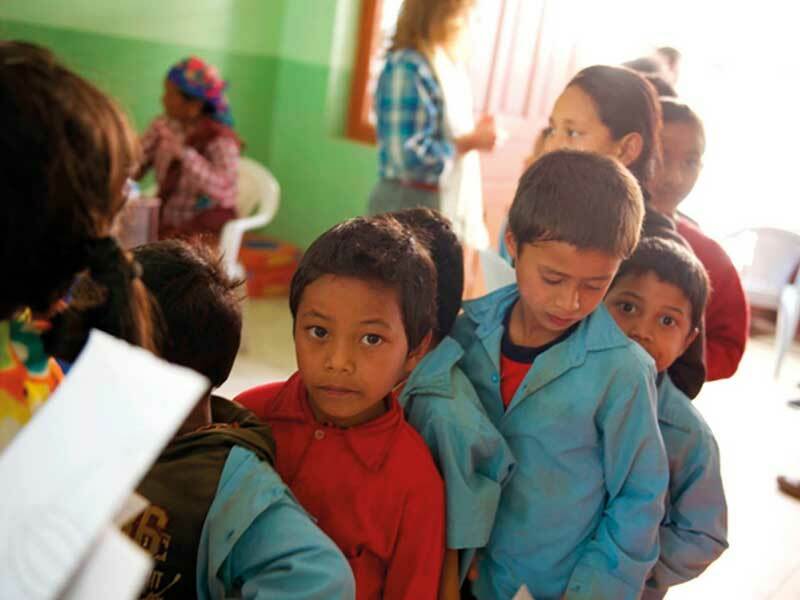 In developing countries access to basic health care and having an elementary education is a privilege, not a right. Out of the many great organizations that help third world countries, our unique goal is to help people help themselves by providing them with the tools for success. With an education, a child has a future. With an education, a farmer can grow his business. With an education, a young woman can become a doctor. With access to medical facilities, a mother can deliver her child in a sanitary environment. With basic vitamins, some of the most life-threatening conditions can be avoided. 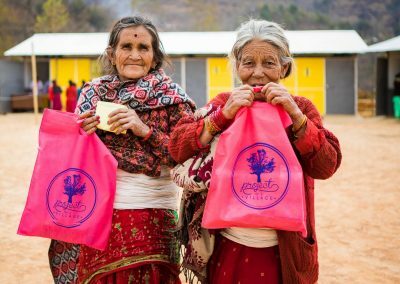 We began our project by helping Nepal, one of the most impoverished countries in the world, a place where we knew we could make a difference. Through volunteer experiences we have come to know first hand how some of the simplest things can change lives. Our founders, along with the Board Members, are dedicated to working to improve the future for people who are forgotten by most of the world. Video created by Mckenzie Whitman. Women and children in Nepal are often living in the shadows. Project for a Village is working to bring them into the light. 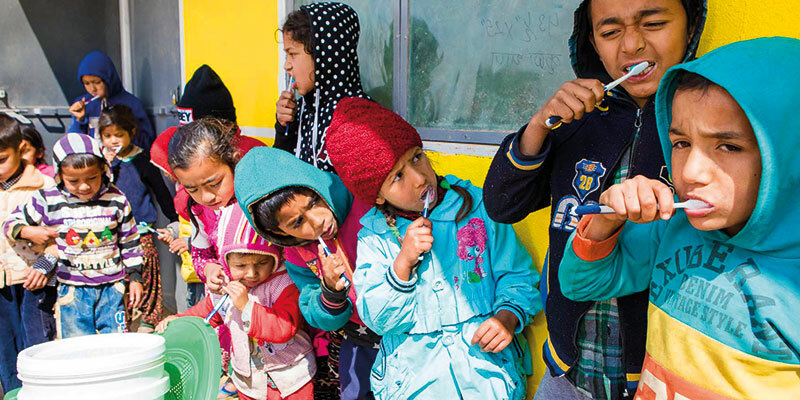 Our projects are centered in villages in the Tanahun, Dhading and Sindhupalchowk districts in Nepal where we function as a healthcare charity, charity for education and offer counseling to women and children. PFAV is proud to have been selected by Dr. Anju Ranjit of the Johns Hopkins Bloomberg School of Public Health as a partner in The TEJ Initiative. 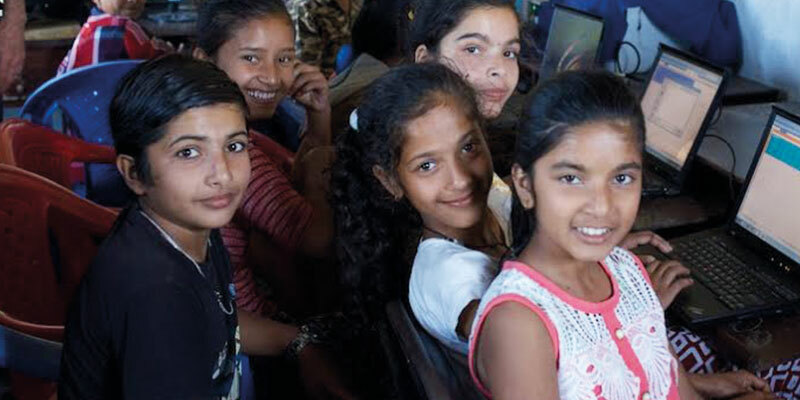 TEJ is an acronym for The Educational Journey and is designed as an adjunct program with the purpose of mentoring girls who are attending secondary school (grades 7-10) in rural villages. When girls do not have the opportunity to further their education, often their only option is child marriage. In Nepal, marriages at a young age puts their lives in danger for many reasons. High-risk teenage pregnancy is one the main reasons for the high rates of maternal mortality and morbidity in Nepal. 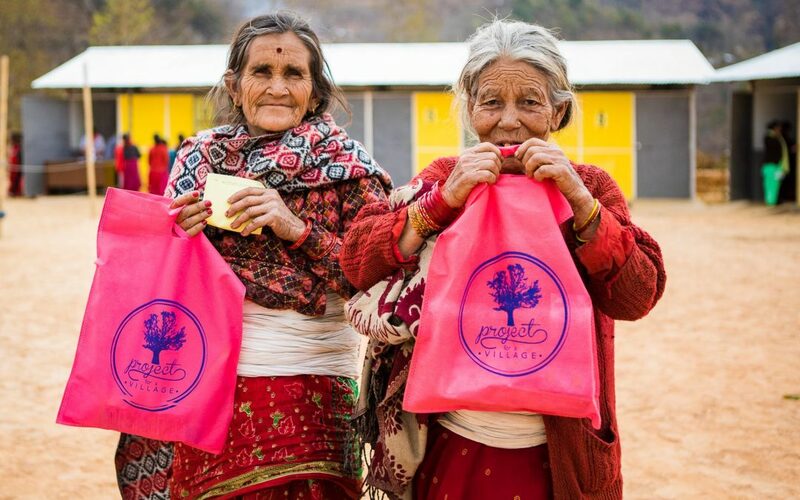 The goal of The TEJ Initiative is to empower the girls to continue their education, learn life skills, and introduce them to Nepali women who have broken the gender barrier and built successful careers. Project for a Village has joined forces with Medical Mercy Canada and Days for Girls, International to sponsor a micro-enterprise in the Himalayan foothills of Central Nepal. 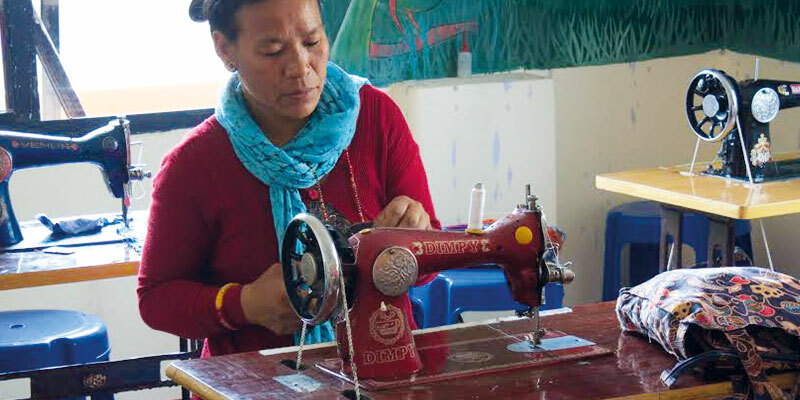 Here in Dhading Besi, seven widows, who are the sole support of their children and extended family members, have entered the world of small business. 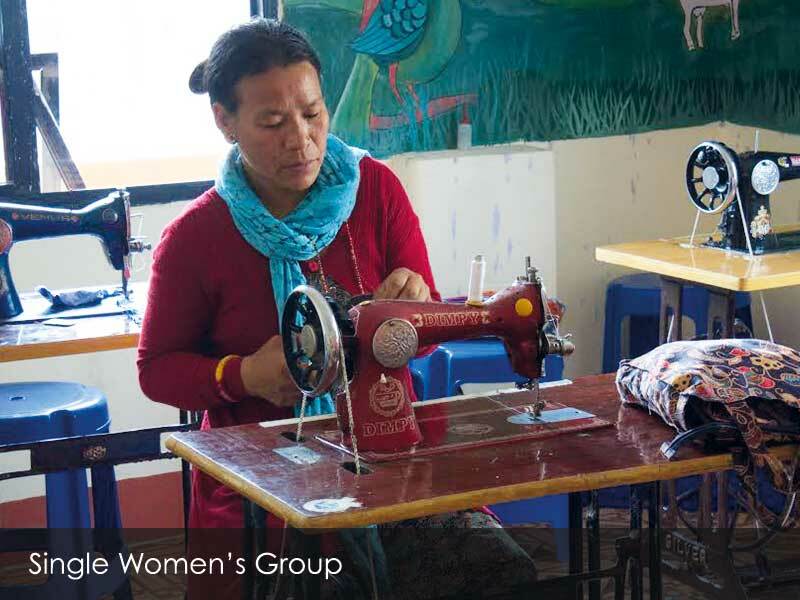 With our help, they are producing reusable menstrual hygiene management supplies. 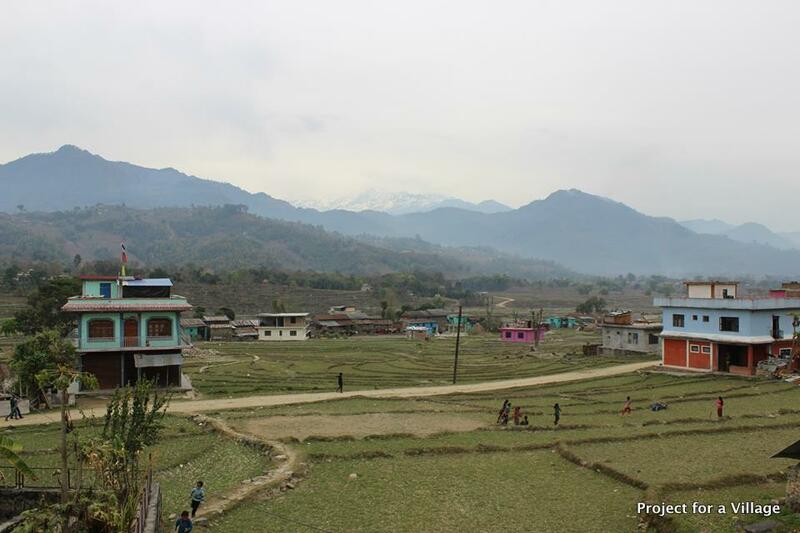 There’s a dangerous tradition in Nepal called Chaupadi which is a form of menstrual seclusion. 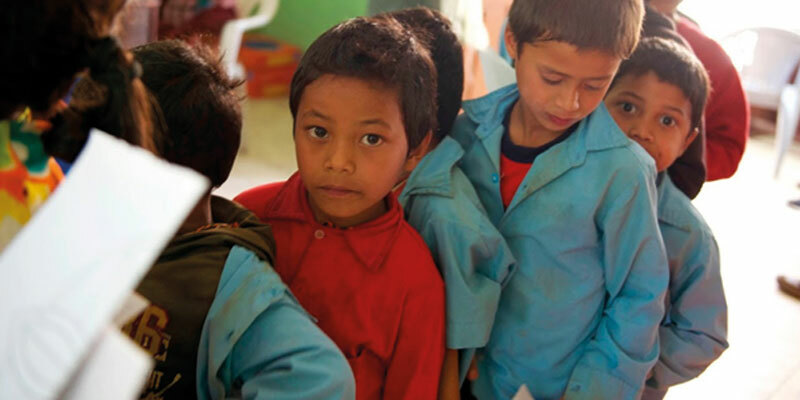 On average, school-aged girls in Nepal miss up to 60 school days per year because of their menstrual period. 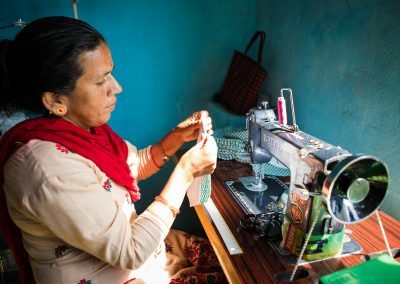 In rural Nepal, where the majority of people have little or no cash income, nothing is easy—including the option to buy menstrual supplies. The menstrual hygiene kits enable these young women to stay in school and help break the cycle of poverty for the single women. Along the way, this practice will produce new generations of mothers who encourage education for their children. Women and children are disproportionately affected by the consequences of poverty and often it is their healthcare that suffers. With their husbands working abroad they are on their own to care for their homes and families. Bringing doctors and medicine to their villages is just one way to help bridge the gap in healthcare in third world countries. Project for a Village has partnered with Vitamin Angels to provide much-needed micronutrients for young mothers and their small children. 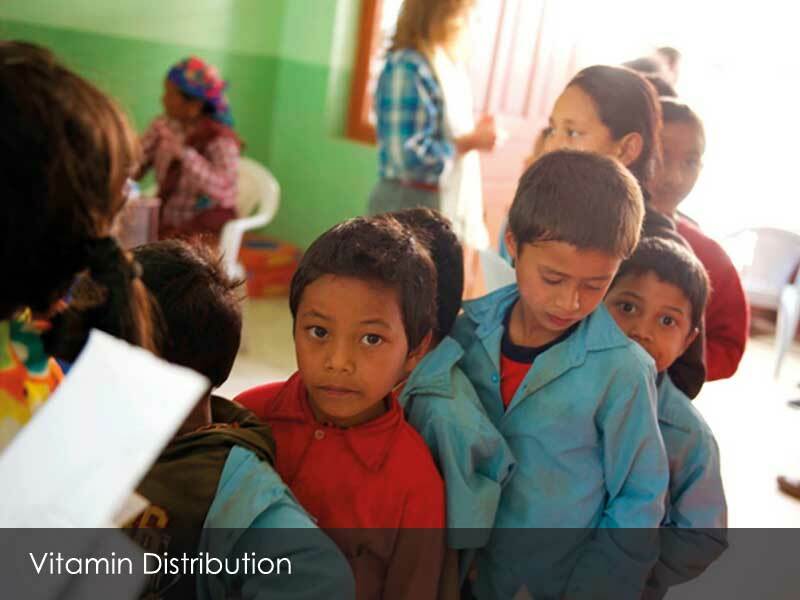 Project for a Village is partnering with Vitamin Angels to connect children and mothers in need with life changing vitamins and minerals. 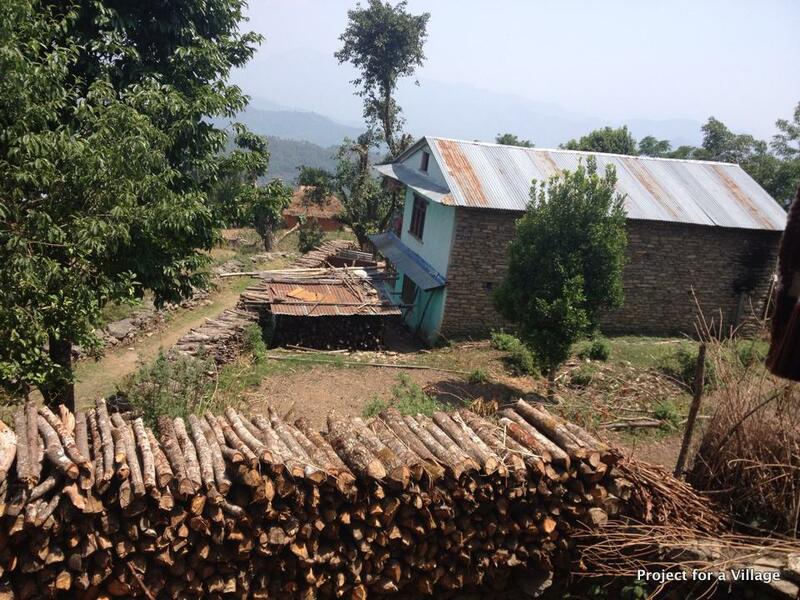 Most of the people in rural Nepal are sustenance farmers. The recent earthquakes destroyed many of the terraced hillsides compromising their food source and making the need for multivitamins even more important. We will be training local volunteers to assist us with this important program. 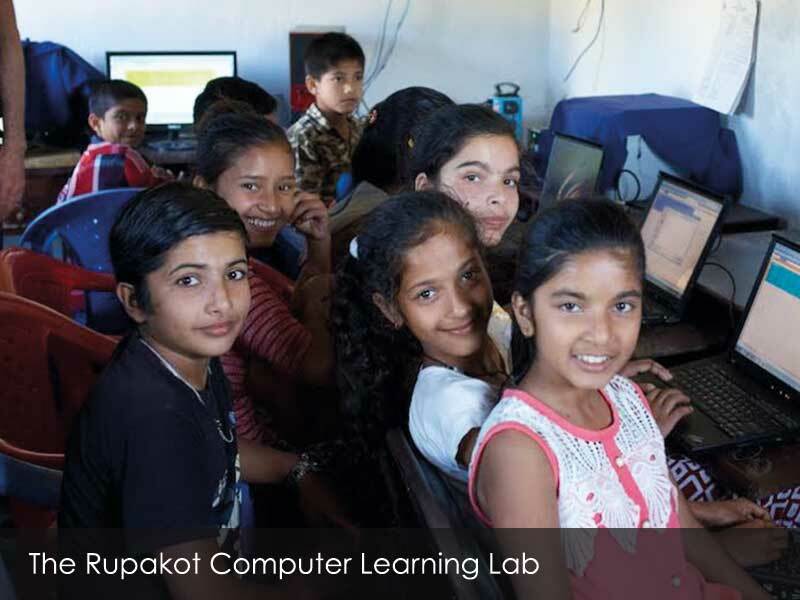 PFAV built the learning center in Rupakot and donated computers to the village. However, the computers were damaged in the April 2015 Nepal earthquake. The Bennett family heard the requests of the children and donated laptop computers, Internet and a teacher who comes every Saturday. The children are learning Microsoft Word and Excel and soon will be able to email pen pals in the US. Additionally, the free Wi-Fi is available for villagers. We responded to the cries for help from the Nepali community by sending immediate aid to doctors who were on the front lines providing emergency care to injured patients. We also provided food and temporary shelters to people both in some of the devastated villages. 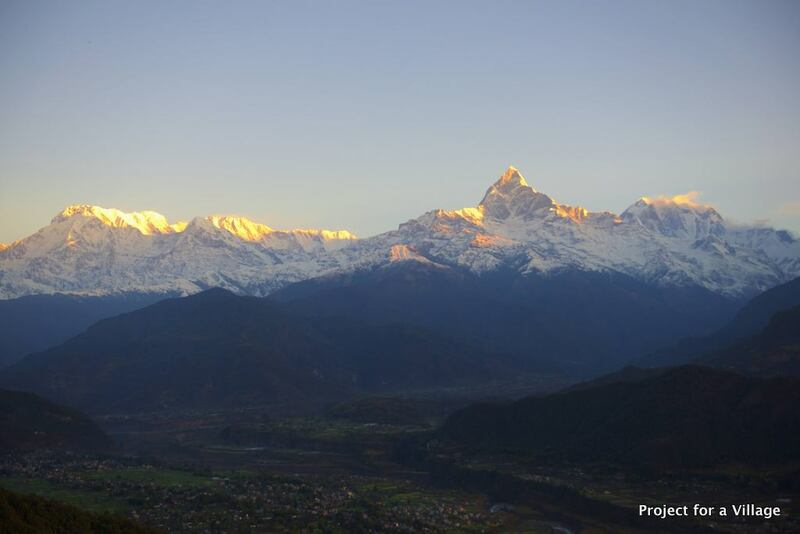 For a complete report of PFAV’s earthquake relief please visit our blog. Provided a stainless steel water purifier tank provided to the Siddhi Kamala School, Pipil Danda, Sindhupalchowk. 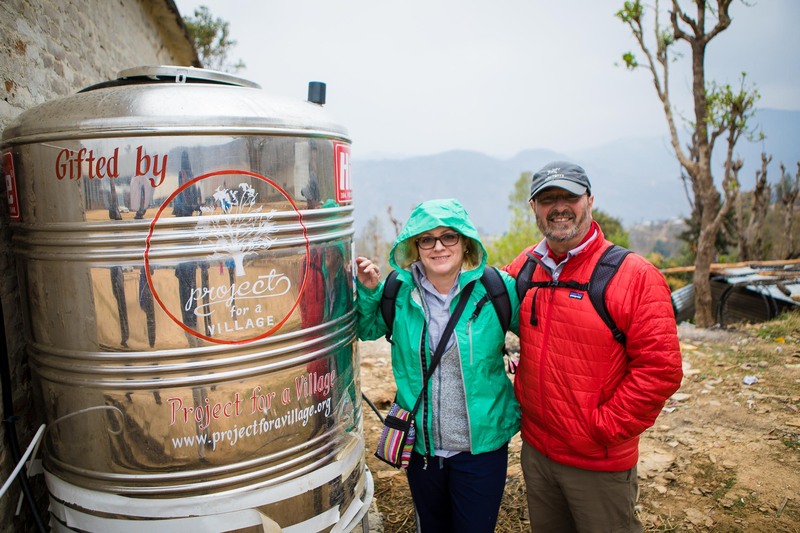 Now the first time Since April 2015, the school has access to purified water to address the Nepal water crisis. Sponsored a Health Care Eye Camp at the Rupakot Health Post for over 400 patients with various eye conditions. 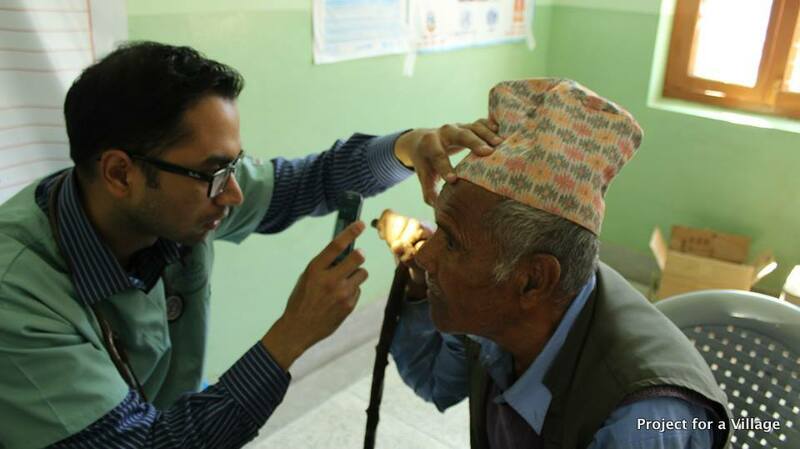 17 patients underwent surgery in Pokhara with complete return of their eyesight. Partnered with Li-Bird and Jana-jyoti to distribute and plant Amaranth seeds in a previously empty field in Rupakot, Nepal. This program provided important nutrients to the young families in the Tanahun valley. March 8, 2019: A Big Day for PFAV! 100% of your donations go directly to the projects. Fortunately, all overhead costs are covered by private donors allowing Project For A Village to allocate all donations to the projects, to the village, to the people. We are proud to announce that at the beginning of this year we received the 501-c3 from the IRS, which means we are now a public charity. Our public charity number is 46-2938578. Please use our contact form for more information. 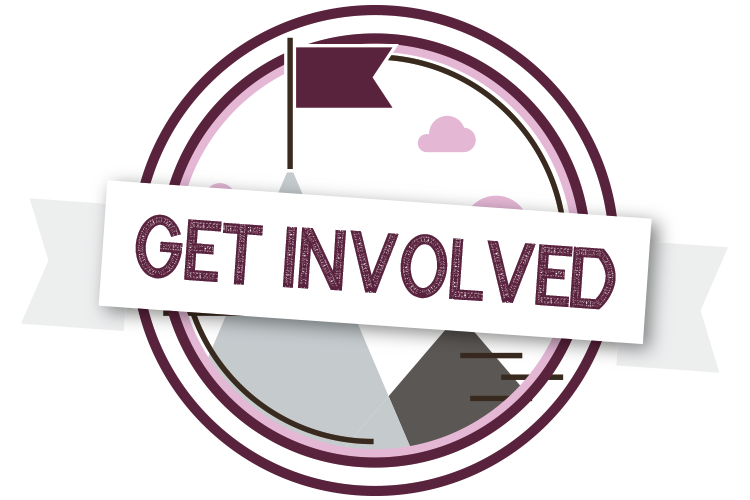 If you have any questions, need more information or want to find out how you can help, send us a message.